makes changing bands even simpler and more instantaneous, for those quick band changing contesting needs. commercially available L- or T- match antenna tuner could ever provide. 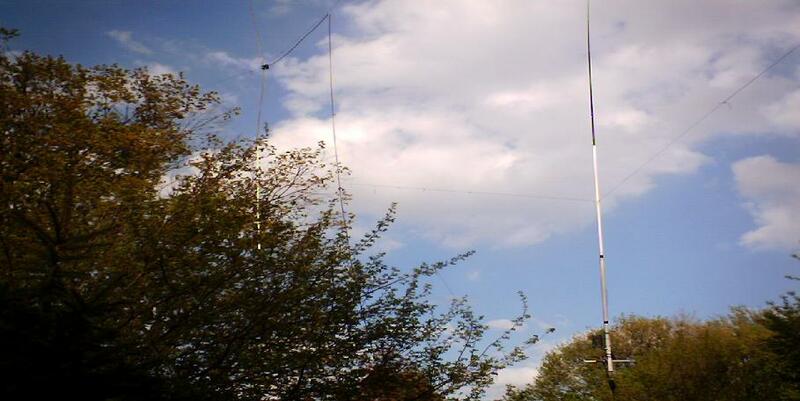 you only need a 20' tower and/or trees to elevate the vertical just 10' off the ground to significantly surpass ground mounted vertical antenna performance. actually be more vulnerable then this fiberglass combo, due to having to support its own heavy and rigid characteristics under heavy wind. 1/4, and 18th wave, the matching is most efficiently done with just the Hi-Q heavy duty inductor. Click here to go back to Big Hair's CB Antennas Homepage.